You know why Google Shopping accounts for 50% of the total Adwords budget? Because, it works. 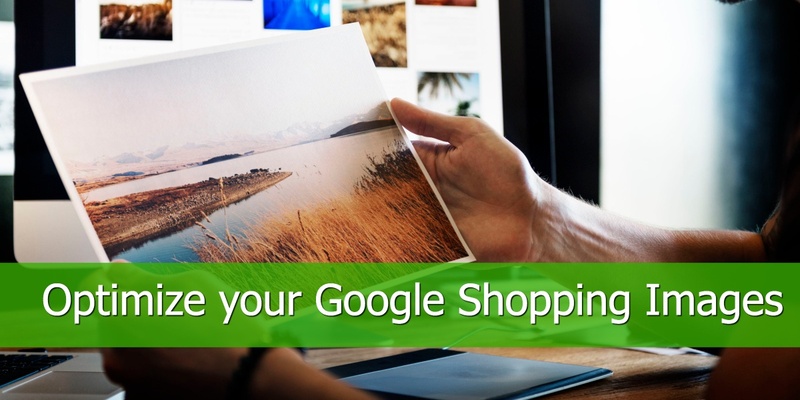 For many retailers, Google Shopping is the main element in their ecommerce strategy. It’s no surprise when you consider the excellent results that Google Shopping often delivers as well as all the exciting new features Google introduces regularly. Google Shopping ads accounted for 16.1% of e-commerce sales in 2016, a 78% year-over-year increase. There are many events that have an impact on the service and on how the merchants can use it to their benefit: the €2.4bn Google Shopping fine, the Retail Shopping on Display or the Purchases button (Google Buy Button. 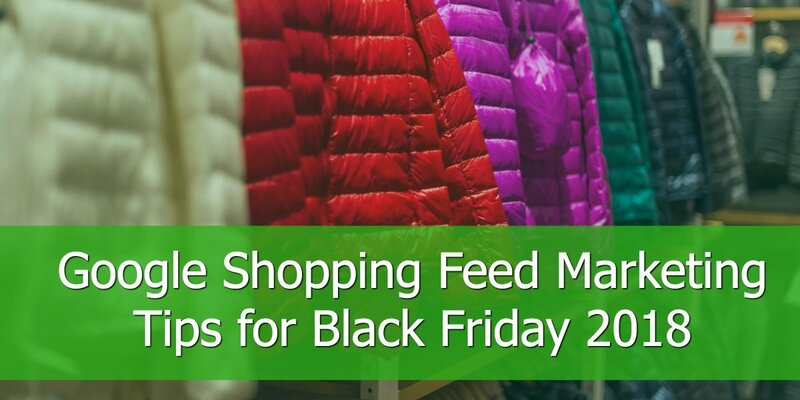 While you cannot control the impact that these events have on Google’s services and features you can focus on how you can be in complete control of everything inside your Shopping campaign. Today we take a look at the negative keywords and priority settings in Google Shopping. 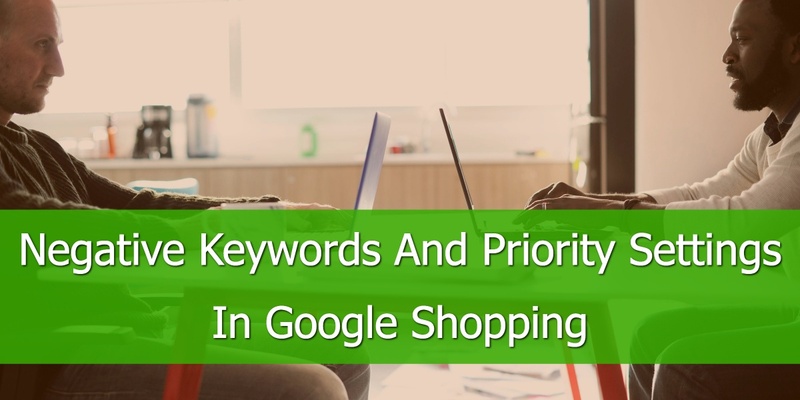 Increase traffic on high-value search terms in Google Shopping by exploiting the relationship between priority settings and negative keywords. This strategy has been suggested by Jim Vaillancourt, Google Shopping Expert and Owner at Lionhurst in our roundup: 12 Agency Experts give their Best Google Shopping Tips. 1. 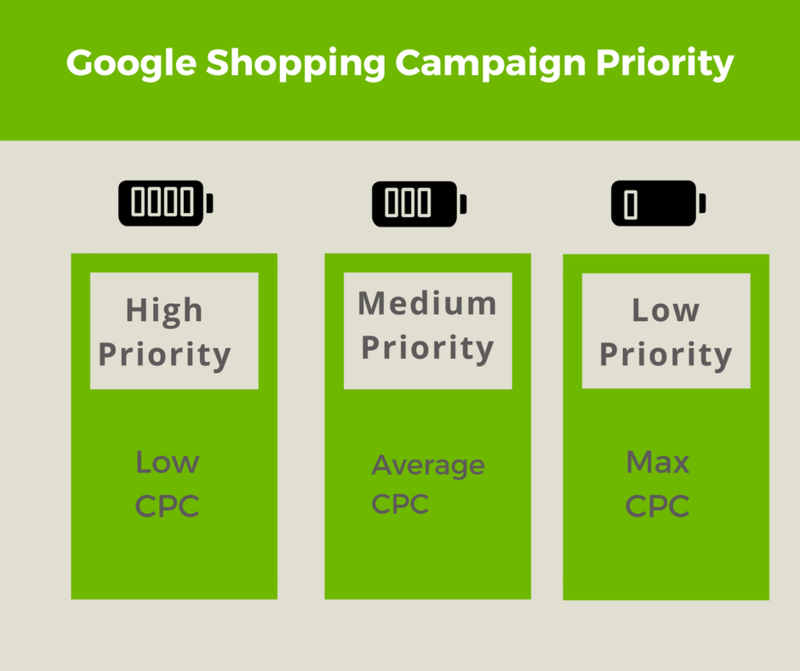 Triplicate a Google Shopping campaign and assign a unique priority setting to each new campaign: high, medium, and low. 2. Change the max CPCs so that they are highest in the low priority campaign, and vice versa. 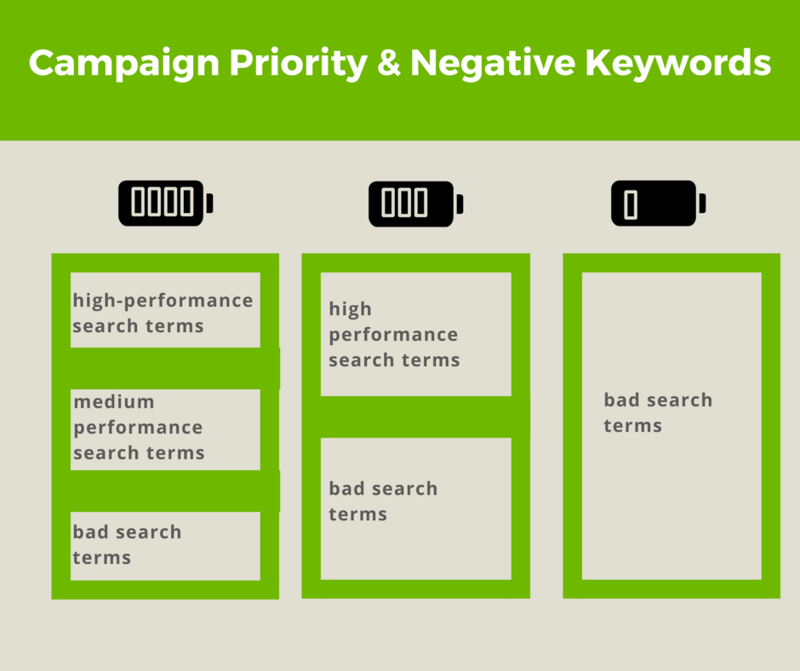 3.Lastly, you will add a different set of negative keywords to each campaign. 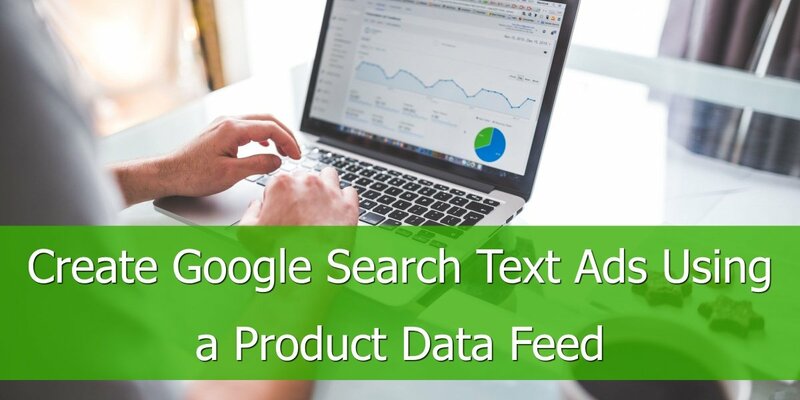 Create three buckets of negative keywords: high-performance search terms, medium-performance search terms, and bad search terms that you never want your shopping ads to show on. Negative keywords for the Low priority campaign: bad search terms. Shopping Campaigns tend to attract many long/mid tail search queries and so the best way to add negative keywords is by combining data from many search terms that contain certain keywords and don't deliver sufficient results. Use your shared library: want to save yourself the hassle of adding every negative keyword to every campaign when the term is not relevant to anything in the account? Using negative keyword lists allow you to attribute the lists to campaigns, allowing you to update them in one central hub, saving yourself a lot of time. Use ‘starter lists’: these are lists created that typically block out terms that are rarely useful in any campaign. Such terms include ‘jobs’, ‘free’, etc. Understand the difference between the match types. Yes, match types apply to negatives too. Misunderstanding these can be the difference between blocking an irrelevant term or stopping a product from showing all together. If you’re unsure, read more here on PPC hero. To help you with finding and excluding the terms you do not wish to show for, there are tools available to help you automate the process. If your budget will allow it, there are paid tools such as those offered by AdWords Robot. For a more limited budget, why not check out these tips by Wordstream on ‘How To Find Negative Keywords For Free’? When you’re advertising the same product in the same location at the same time in different campaigns, it’s highly recommended that you set your campaign priority so Google knows which campaign’s product to show during the auction process. Your campaigns will start off with the automatic setting of ‘low priority’. From here you are able to set this as either Medium or High. This setup is designed to prioritize promotion items. So, for example, there are two campaigns, both with the same item in. 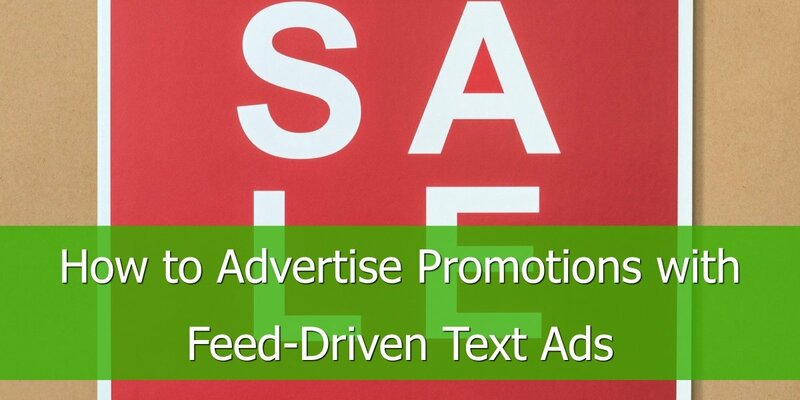 However, one campaign is a sale campaign which displays the item at the sale price - this will show up first as it is higher priority than the non-sale item. The purpose of this is to boost sales based on the idea that people are more likely to purchase an item on sale over a non-sale item. This typically works for those with a select range of ‘best-sellers’. Set up similar to the above point with the high-priority set for the promotional items. Then the medium level campaign prioritized the next strongest performers (split at item ID level). 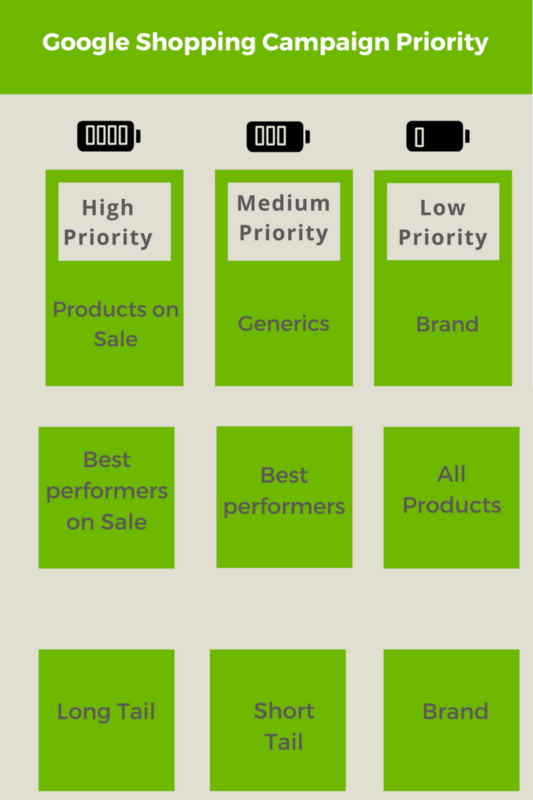 Following that, everything else (low priority) with split into an ‘all products’ campaign. When it comes to Google Shopping, it’s worth remembering that there is no one-size-fits all. What may work for one retailer, may not work for another. To be in complete control of everything within your account, you need to do the legwork to find what works.